Have you ever started reading a book and wondered what all the fuss was about, and then suddenly found that you've finished the book and you're struggling to hold back tears? Welcome to my reading of Rachel Joyce's The Unlikely Pilgrimage of Harold Fry. One morning, after getting a letter from a former colleague who has cancer, Harold Fry leaves his home to post his reply. But he passes one post box, and then another, and before he knows it, dressed in his shirt and tie and yachting shoes and sans mobile phone, he's walking the 627 miles from Kingsbridge to Berwick to see Queenie Hennessy. 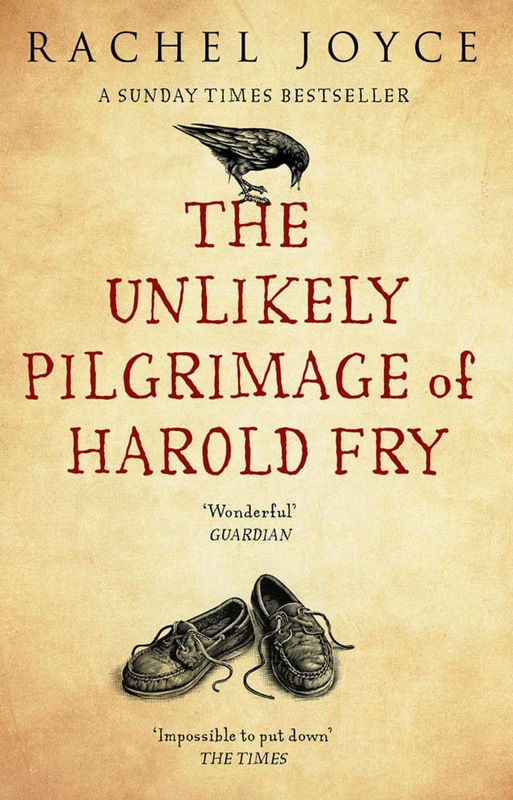 The Unlikely Pilgrimage of Harold Fry is a hugely successful book, and it's one that many, many people talk about with affection. When I first started reading it, I thought it was a perfectly pleasant book with likeable characters. And then, just a couple of chapters later, I was completely sucked in to a charming, original, funny, moving book with tragic, happy, sad, wonderful, loveable characters. Harold himself is a character I was cheering for once he started on his journey, and then all the way to Berwick. He's unassuming, the type of person who in real life you might dismiss (wrongly) as not that interesting if you met him within a group of people. But Joyce's portrayal of him really shows a man who is gentle, and kind, and who needs to come to terms with events in his life that he hasn't emotionally been able to deal with because his own role models were lacking. The journey Harold takes, both literal and metaphorical, enables him to become the man he really is and wants to be. Physically, this means he becomes tougher, fitter, more weatherbeaten - the ideal of a manly man in the way he needed his father to be when he was growing up. Mentally, he also becomes tougher, in addition to being more emotionally connected and open about those emotions (eventually). But it's not just Harold that makes The Unlikely Pilgrimage of Harold Fry so charming, it's the cast of characters that we spend time with in the book, however small that amount of time is. Of course, firstly there is Queenie, the woman he is walking to see. We see her through flashbacks, through Harold's eyes, and are left to piece together their relationship ourselves. Then there are Harold's wife Maureen and his neighbour Rex, who we get to know fairly well, and a host of characters Harold meets on his journey. My favourites are still the silver-haired gentleman, who in just a few sentences tells a beautiful but tragic story of unrequited love, and the doctor, who similarly has a tragic tale of love (hmm, I notice a pattern). Joyce's book is a bit like Harold himself - a hidden well of emotion and meaning just waiting to be opened up and let into your heart. Go read it, and try not to weep. How I got this book: Bought.